Establishing a PRECEDENT of both competitive teams and matriculation over time. Consistency over time is the greatest barometer for success. Our programs have demonstrated this ability over the last 10+ years. 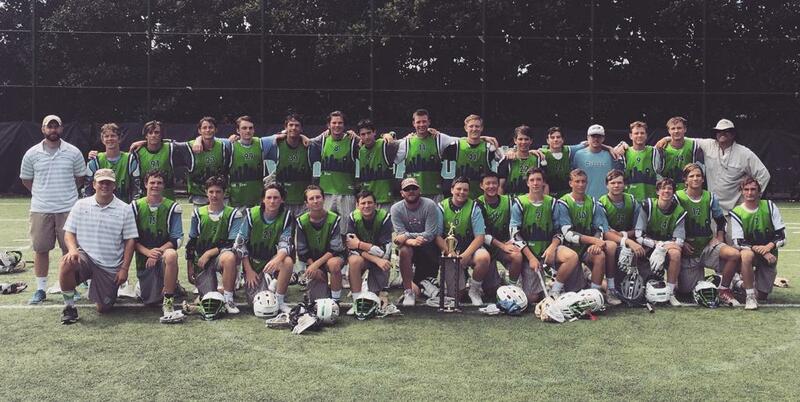 When teams line up across from a StickStar Select team, they know that they will have to compete at a high level. We are NOT a gimme. Winning roughly 70% of our games in our history means that our Khaki Culture is doing something right. A great mixture of training, quality players, and systematic execution has kept us quite relevant in every tournament in which we participate. The players change but the song and ultimately the result remains amazingly consistent. Our players do not all hail from the presumptive, THSLL Champs making the championships that they win with our group a momentous occasion in their playing careers. “Success is the greatest developmental tool I can find,” Jon Gruden. Our players win! It is fun to have fun! Due to our program's longevity, we have put together a pretty solid summer schedule which highlights many of the top events from East to West. We attend a mixture of tournaments, many of which are put on by the nation's best tournament organizers as well as several that are University-run tourneys as we find importance in both. We want to get our players on campuses across the country and have done so by attending great events at Notre Dame, Denver, University of North Carolina, Virginia, Swarthmore, Gettysburg, and McDaniel. 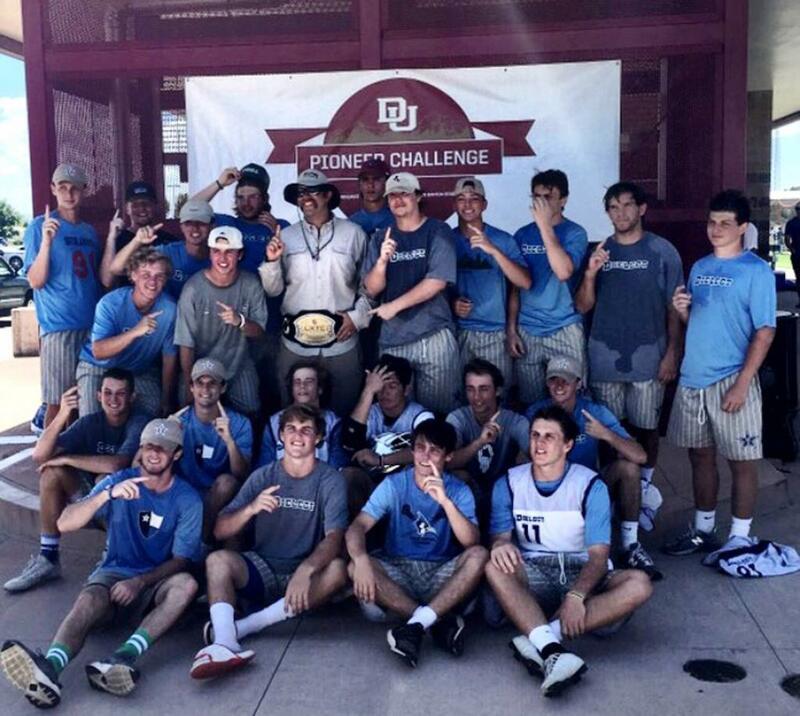 Denver Summer Team Challenge Champs. Undefeated 5-0. Click Here for a Full look at our History. We have coached a lot of teams. You can see pictures of most of them here. 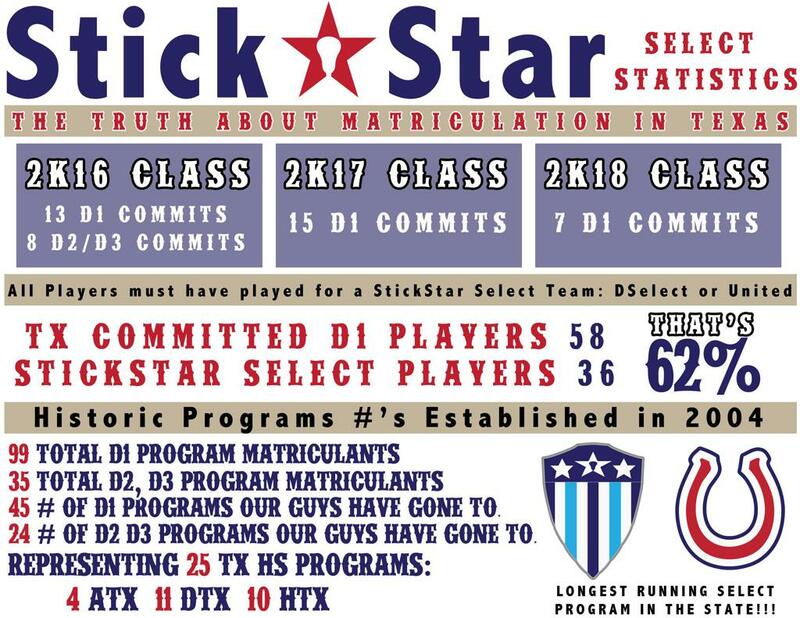 We will not oversell the matriculation aspect of our program because our ability to have players matriculate is well-documented. Due to its longevity, our program has the most collegiate matriculations by a considerable margin. Matriculation is not something you can force. It is a process, one that we understand. If you work on doing things the right way, good things happen. In the last couple of years, our results have been astounding as can be ascertained by checking the dated graphic. If you are good enough, we can help. While that much is guaranteed, the results are not (or ever can be by anyone). We will do everything in our power to put your player in a position to succeed by preparing them, giving them visibility, and counseling them. Ultimately, it takes just a little bit of luck, as well! A quick list of where players have matriculated includes: Air Force, Army, Bellarmine, Binghampton, Boston Univ., Brown, Bryant, Bucknell, Colgate, Cornell, Dartmouth, Denison, Denver, Detroit, Duke, Fairfield, Furman, Gettysburg, Hampden Sydney, High Point, Hofstra, Holy Cross, Jacksonville, Johns Hopkins, Lehigh, Lynchburg, Loyola, Marquette, Maryland, Mercer, Michigan, Monmouth, Navy, Notre Dame, Penn State, Princeton, Providence, Quinnipiac, Roanoke, Robert Morris, Rutgers, Salisbury, Siena, Stevenson, Swarthmore, Syracuse, Ohio State, UMass Lowell, UNC, UPenn, UVA, Vermont, VMI, Washington and Lee, and Yale, to name a few. Please note these numbers have gone up since March! New Graphic coming soon!